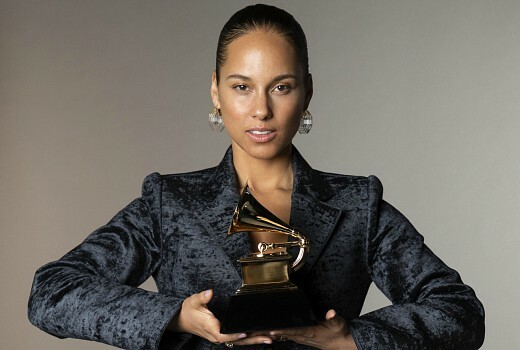 Alicia Keys hosts the 61st Grammy Awards at the Staples Center in Los Angeles, screening Live on Monday on FOX8. Camila Cabello with J Balvin, Ricky Martin, Arturo Sandoval and Young Thug; Cardi B; Brandi Carlile; Chloe x Halle; Miley Cyrus; Dan + Shay; Fantasia, Andra Day and Yolanda Adams; H.E.R. ; Dua Lipa and St. Vincent; Little Big Town; Post Malone and Red Hot Chili Peppers; Shawn Mendes; Janelle Monáe; Kacey Musgraves; Lady Gaga and Mark Ronson; Dolly Parton with Little Big Town, Maren Morris, Kacey Musgraves and Katy Perry; Diana Ross; Travis Scott. Kelsea Ballerini, Leon Bridges, Luke Combs and Charlie Wilson; Alessia Cara, Julian Edelman, Eve, John Mayer, Bob Newhart, Smokey Robinson, Swizz Beatz and Meghan Trainor; Kane Brown, BTS, Cedric The Entertainer, Nina Dobrev, Anna Kendrick, Jada Pinkett Smith and Wilmer Valderrama. 10am E! E! Live From the Red Carpet: The 2019 Grammy Awards. Hosts Ryan Seacrest and Giuliana Rancic. A definite lack of star power this year, probably due to the lack of any outstanding music this past year as well. If the two leading nominees can’t bother turning up, why should we?